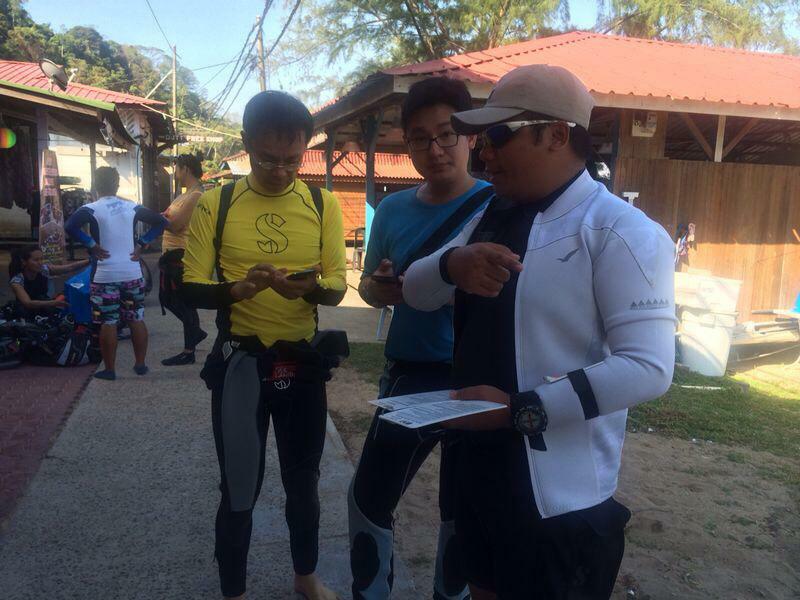 Open water diver course in session | Kg. Genting, Tioman Island, Malaysia. Kg. Genting, Tioman Island, Malaysia. Congratulations to all #PADI Open Water Diver course students from Tanjung Langsat Port Terminal (TLPTerminal) for being PADI diver certified trained by PADI Master Instructor, Irwan from Sorte Met Stella Scuba dive centre, Pulau Tioman (SMSS). Welcome to our family. Dive safe and be a great ocean ambassador. We at SMSS, very proud of your hardwork, teamwork, dedication and determination in earning it. Kudos! . #sortemetstellascuba #wearePADI #tiomanisland #malaysia #padiinstructor #ocean #diveflag #scubadiving . Tomorrow: Bank Islam Divers PADI Open Water Diver course and fun divers. Congratulations to all students (PADI Open Water Diver course and PADI Advanced Open Water Diver course). Guided and mentored by both of our experienced and certified PADI Instructors. . Welcome to our family. WE ARE PADI. . #sortemetstellascuba #PADI . For fun dives packages or PADI courses, kindly contact us at +60122141979 / +60133287428. We are a PADI dive centre based in Kg. Genting, Tioman Island, Malaysia.